It’s awesome in the most literal sense of the word – it is a holiday that celebrates and shows the entire world what Judaism is all about. Chanukah is not just about the miracle of finding oil, it’s about each one of us being a light. We are each our own flame, and by doing acts of goodness and kindness, we slowly light up to the world. This year I tested out some homemade donut holes as dessert! These donut holes are just the right amount of sweet to end off a delicious meal, and the right size to not overdo it. 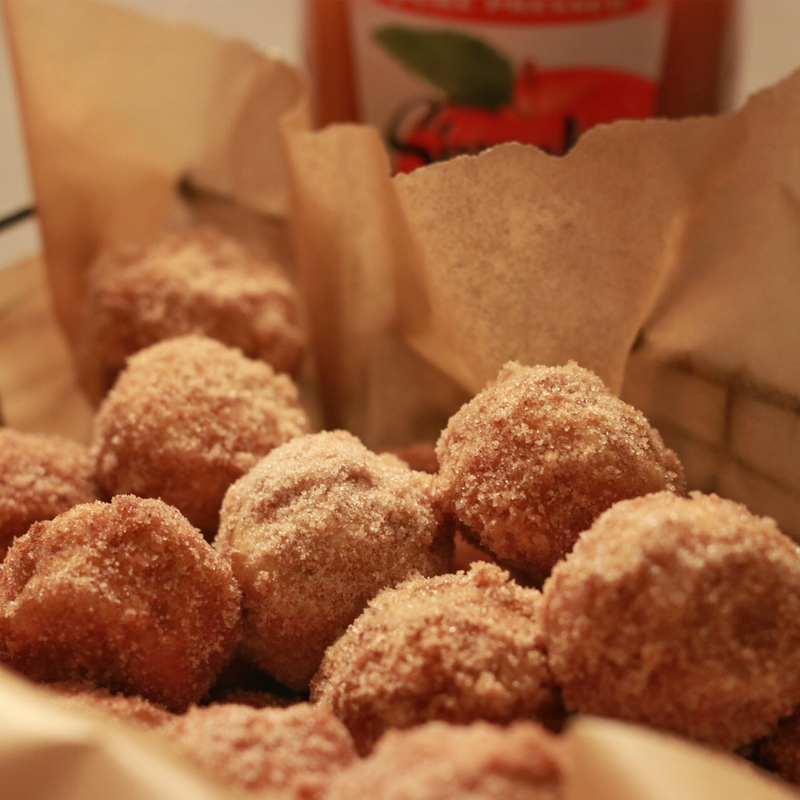 The donut holes were really easy to make, and the best part is that they aren’t even fried! I plan to make these next week and bring them to the party this year! Grease a mini muffin pan with cooking spray and set aside. Whisk together the flour, sugars, baking powder, cinnamon, nutmeg and salt. Stir in the apple cider, beaten eggs, oil and vanilla and gently mix to combine (Try not to over-mix, or it could cause tough donuts). Use a spoon and portion the batter evenly among the muffin tins. Bake for about 10-13 minutes. Cool in the pan for about 5 minutes, then gently flip onto a wire rack. Roll the donuts in the cinnamon sugar mixture, coating completely. These taste much better once they have cooled, rather than warm & can be stored in an airtight container for up to 2 days! Sarah Braun, a native Clevelander, obtained her bachelor’s degree in International Relations & Arabic language from The Ohio State University, and her Masters in Global Policy from Cleveland State University. Between undergrad and graduate school Sarah lived in Jerusalem, working for the Jerusalem Center for Public Affairs, and studying at the Mayanot Institute for Women. While in Israel, Sarah had the fortune of meeting her better half, Dovi. Sarah returned to Cleveland to finish graduate school, married her husband, and they moved to Johannesburg, South Africa (his hometown). While in South Africa, Sarah worked at the Embassy of Israel in South Africa as their Director of Public Relations. Sarah and Dovi moved back to Cleveland in 2014, and were blessed with a baby girl. Between living in South Africa for four years, Israel for two, Egypt (for Arabic studies) and traveling, Sarah has gathered ideas and styles of foods and cooking that she enjoys altering to cater to her family’s kosher dietary needs. 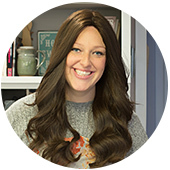 Sarah works for her local Cleveland family business, Chagrin Valley Soap & Salve (an all-natural & organic skincare company) and in her spare time, enjoys cooking, styling food, hosting, decorating, and most of all, being a wife & mommy. Follow Sarah on Instagram @TheRusticMaidel or on Facebook (The Rustic Maidel) to see more frequent posts about food, recipes, and ideas. You can find her blog at: www.therusticmaidel.com.